Rory Fleming (@RoryFleming8A) is the President of Foglight Strategies. He previously worked at the Fair Punishment Project, which was founded as a joint project of Harvard Law School's Charles Hamilton Houston Institute and its Criminal Justice Institute. There, he was the lead researcher on the policies and practices of elected local prosecutors throughout the United States. Mr. Fleming is a licensed attorney in the State of Minnesota. Ted Chisholm (@TedChisholmMke) is a Research Assistant at Foglight Strategies and a Religious Studies major at Macalester College. Ted conducts strategic research for local prosecutor campaigns. 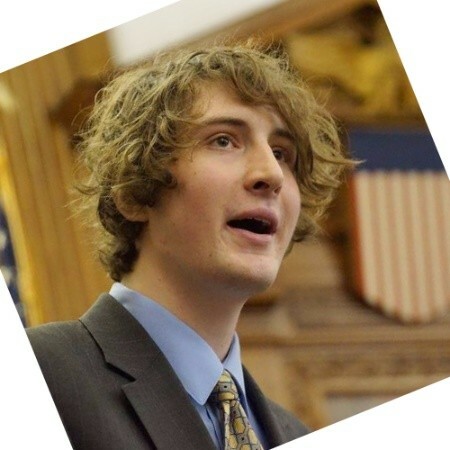 Ted has assisted progressive political campaigns in Wisconsin and Minnesota and has experience conducting legal, policy, and academic research. He was a fellow on Saint Paul Mayor Melvin Carter's 2017 election campaign, and most recently led Earnell Lucas's winning campaign for Milwaukee County Sheriff.